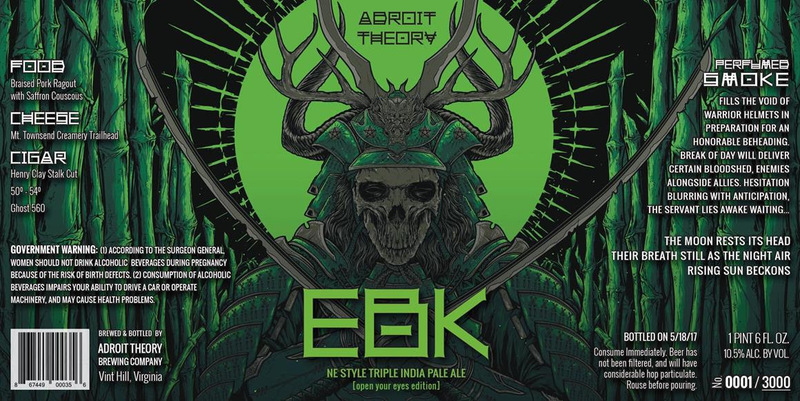 "If you got to sample the DIPA version of EBK, than you now know that Adroit Theory has stepped up its game when it comes to hoppy beers. Brewed with even more hops than #1, this beer is triple dry-hopped with Citra & Mosaic. We also upped the Wheat and Oats in the grain bill for an even creamier mouthfeel. This will also mute the bitterness a little to give it an even juicier bouquet." Tasting Notes: Smooth Creamy Mouthfeel, Citrus Aromatics, Juicy Sweetness, Hazy Appearance. 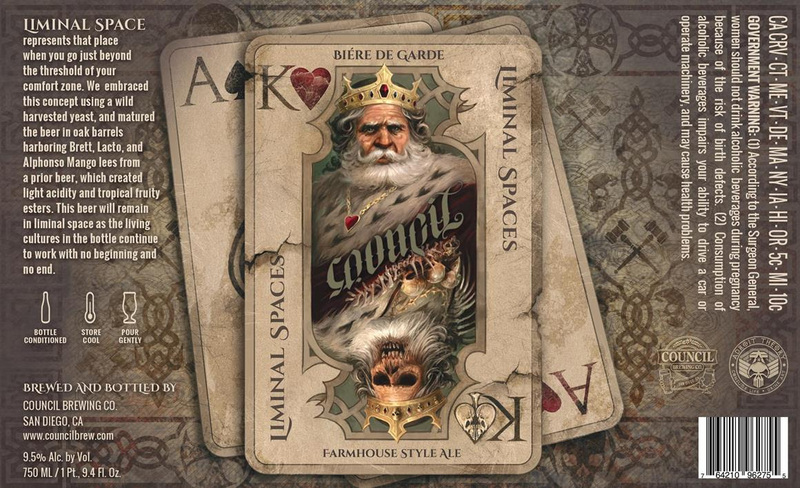 "We collaborated with our friends from Council Brewing (San Diego, CA) for this one. The base beer is a malt-forward Bier de Garde that is characterized by a toasted malt aroma, slight malt sweetness in flavor, and medium hop bitterness. We fermented the beer with our own "Purcellville Yeast" a wild Sacch Yeast we used in our Two Headed Calf. Once fermented, we transferred the beer to used Bourbon Barrels that had previously held a Golden Sour with Alphonso Mangos. The beer was infected with Councils house blend of Brett and Lacto, where it aged for 6 months." Tasting Notes: Sweet Malt Aromas with a Tropical Element, Hint of Funk, Belgian Style Esters, Dry Finish.